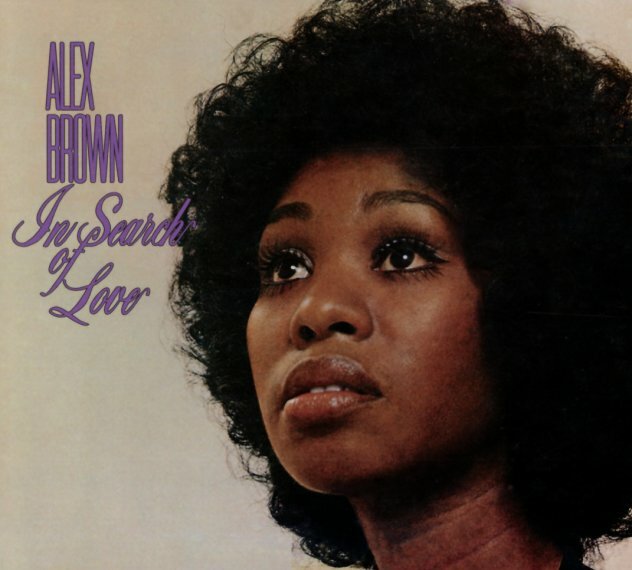 A beautiful bit of female soul from the 70s – the only album we've ever seen from west coast singer Alex Brown – and a sublime little set all the way through! Monk Higgins is at the helm arranging and producing, and a good number of the tracks here were co-written by Monk and Alex – with a sweetly loping groove that's much more Chicago soul than you might guess from the west coast address of the record – nicely sophisticated, but also with a style that still knows how to groove! The whole album's a real treasure – very fresh and original, and a little bit funky at times too – almost with a Ruby Andrews vibe. Titles include "You Move Me", "Please Don't Leave Me", "I'll Still Be There", "I'm Not Responsible", "Baby You're Right", "Turn Around Look At Me", and "The China Doll". © 1996-2019, Dusty Groove, Inc.